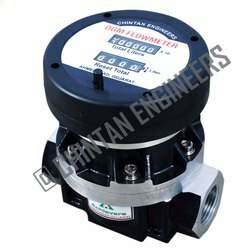 Our company is among the most sought after offering Hydraulic Flow Meter to the clients. This product is used for the purpose of measuring linear, nonlinear, mass or volumetric flow rate of a wide variety of liquids or gases. Hydraulic Flow Meter is tested on several quality parameters to remove any kind of defects. Turbine Flowmeter for Hyraulic Oil or Milk or for CIP applications.both Pulse & analog Outputs are available. Hydraulic Service Turbine Flowmeters are available with Operating pressures upto 400Bar. These have special internals suitable for high viscosity service.